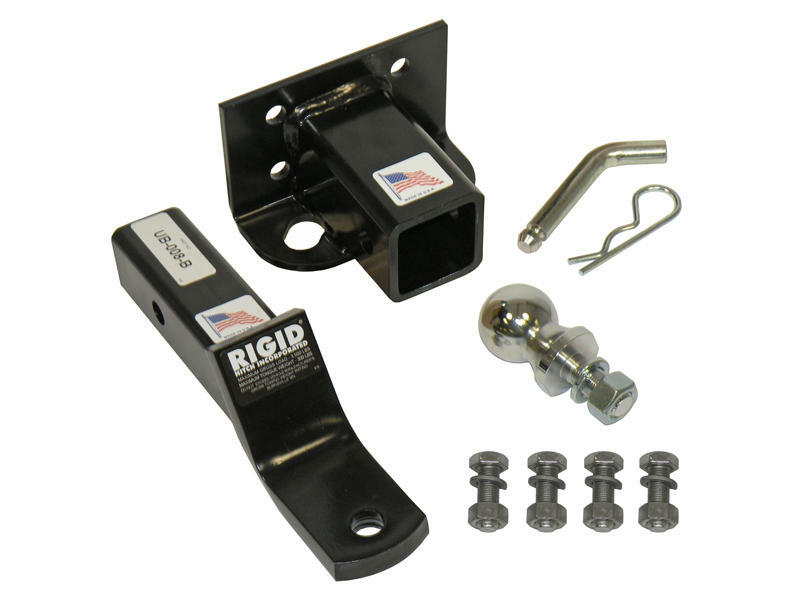 2" front mount receiver hitch for Gator XUV models only. Ideal for those looking to move a small trailer with ease or the ability to mount a winch onto the front. This part is compatible with XUV 620i green/yellow, XUV 620i olive/black, and XUV 850D green/yellow. Easily installs to the integrated front bumper with four bolts. Included is a 2" ball mount with a 8 inch length. Offers a 2" drop or can be flipped over for a 5/8" rise. 2" chrome hitch ball and 5/8" pin and clip are included. Please note: This product may fit other XUV/HPX models with bolt hole spacings of 1-3/4" x 3-3/8".